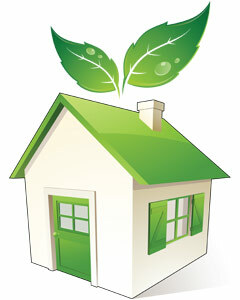 The following are 10 tips to help you clean in a more greener and environment friendly way. You do not need to buy a cleaner for every single cleaning task in your New Port Richey, Florida home this is a myth perpetuated by the manufacturers to get you to buy more of their products. Go for multi-purpose cleaners – they really can tackle the majority of your cleaning chores! You may not realize this but you can find plenty information pertaining to the products you buy. Products branded with a “caution” or “warning” has less impact on the environment than those branded with “danger”. Use cold water where convenient, for example when washing decking or drive ways. You don’t always need to clean with hot water for a efficient cleaning in your New Port Richey, FL home or office. Try cleaning with reusable products – such as clothes and sponges. The new trend for disposable cleaning cloths may seem quick and convenient but give a thought for the polar bears in the North Pole whose homes continue to melt away. They use less packaging and work out cheaper too helping your stretch the budget in your New Port Richey, Florida home or office! Most cleaning products use plastic packaging. What you may not know is that plastics come in different grades. You can normally find the grade of the product you are buying at the bottom of its packaging. As a general rule, grade 1 and 2 are good, other grades not so good! Don’t let the dirt pile up in your New Port Richey, FL home or office before you clean. That curry stain on the worktop would be easier to clean sooner rather than later. You end up using more energy and more products if you allow your dirt to accumulate. Try to pick up as much clutter as possible before turning on the vacuum. Again you use more energy if you are picking up clutter while vacuuming and the vacuum is left on for much longer. Try using lemon juice for removing stains, vinegar for your windows, white wine to tackle red wine stains, cola to descale your toilet and baking soda for degreasing. All your hard work will go to waste if you simply dispose of your packaging in the refuse. When you have finished your products, simply rinse and recycle. So there you have it! I hope this helps with your new commitment to going green!